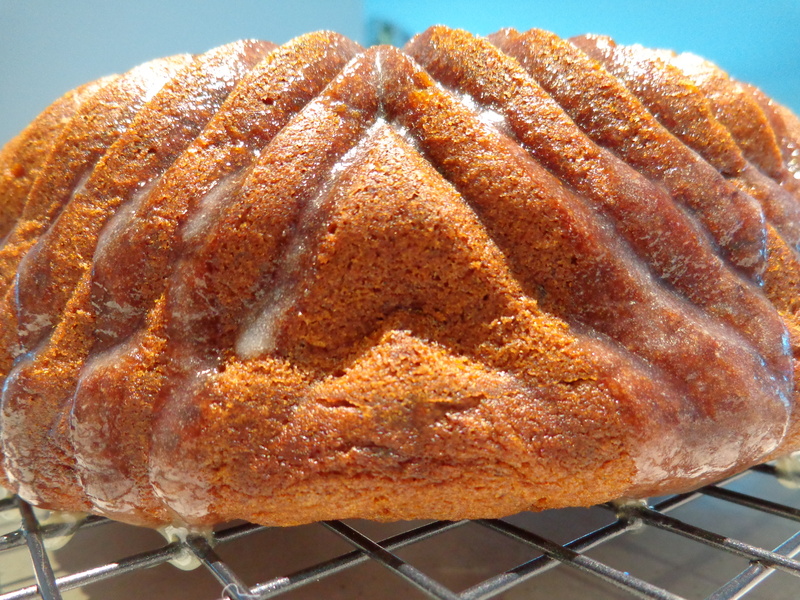 The busy period at work is finally over (sorta) so I have finally been able to get back into my baking and what better way than this month’s bundt challenge from the ‘Bundt Bakers’ group. Our theme for the month: Coconut! Whilst I like coconut I sometimes feel that it can be too dry at times so I thought I would use coconut milk in the cake batter and Malibu (Coconut Rum) in the glaze. The cake itself if fantastically moist with the combination of banana and coconut milk and they blend together without overpowering each other. If you want substitute the vanilla bean paste with a tablespoon of vanilla extract. I am sure you will enjoy this cake as much as I do! A big shout out to my new Bundt Baking friends and especially to Terri Truscello Miller at http://loveandconfections.blogspot.com/ for hosting this month’s event. I love blueberries! I used to buy punnets of them and sit there popping blueberry after blueberry into my mouth enjoying the sharp burst of juicy sweetness. Then one day, many years ago I stumbled across a receipe for blueberry muffins and there started my obsession with using the delicious fruit in my baking endeavors. 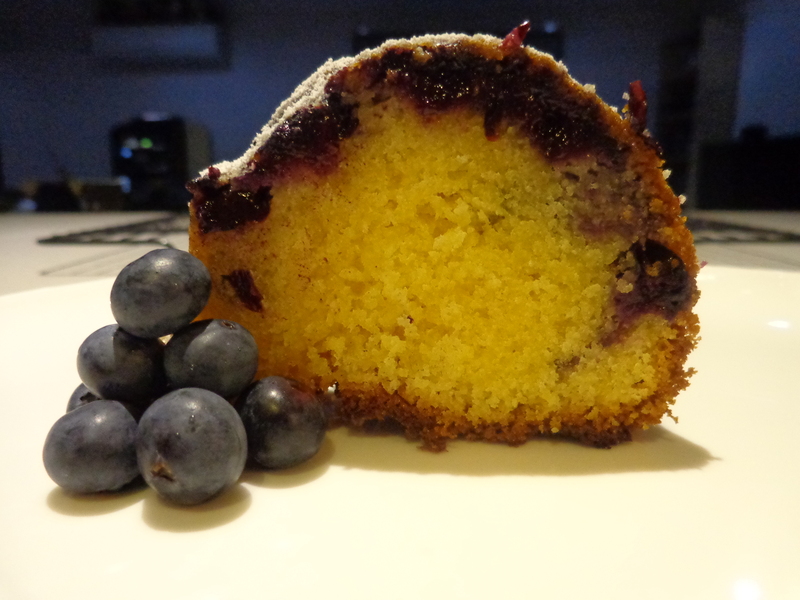 The cake is really tender and has a lovely buttery flavour, the blueberries sink to the bottom of the pan and create a lovely crown once inverted. 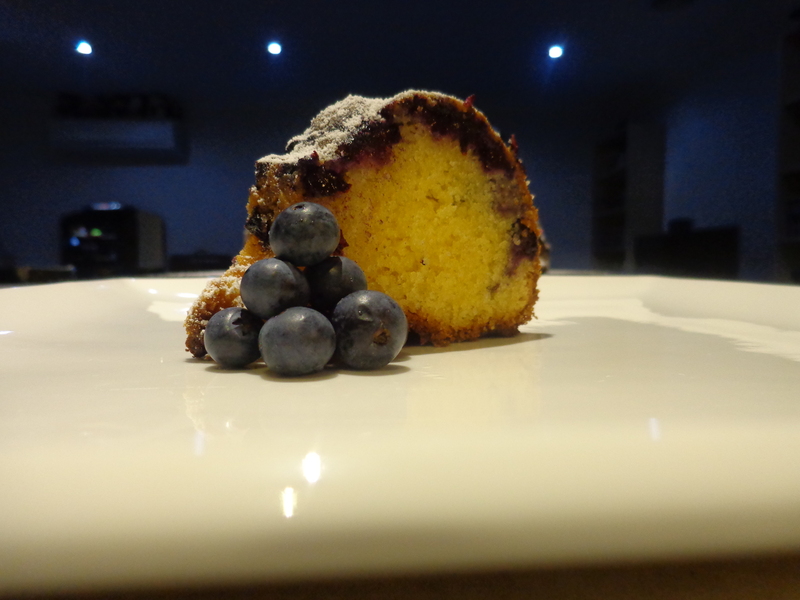 If you don’t have any blueberry’s on hand feel free to try the receipe with another type of berry. Also, if you’re like me and hate waste then this receipe quite nicely uses up the extra egg yolks that you will have if you have made the Nutmeg Cupcakes w/ Rum Buttercream from my previous post.